The survey revealed that online health information was used by 79% of the population while 58% accessed online provider reviews, both services being used the most. However, only 24% used mobile tracking and wearables and live video telemedicine usage stood at 19%. Every service usage has gone up each year barring wearables which remained stagnant at 24% and telemedicine which experienced a fall from 22% in 2016. 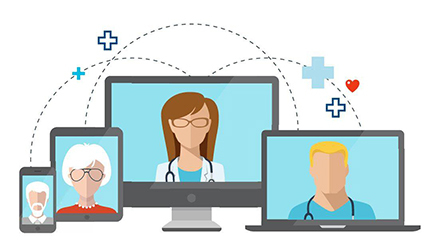 Probing into the experience with telemedicine, the survey found that 91% of people, who spent on it, were “moderately” or “extremely” content and 62% of people who didn’t spend money, were satisfied. It was discovered that 54% of people used wearables in 2017 to increase their physical activity while 40% used it for weight loss and 24% for enhanced sleep and 18% for stress management. Additional findings showed that self-health tracking was largely devoid of digitalization among the population.